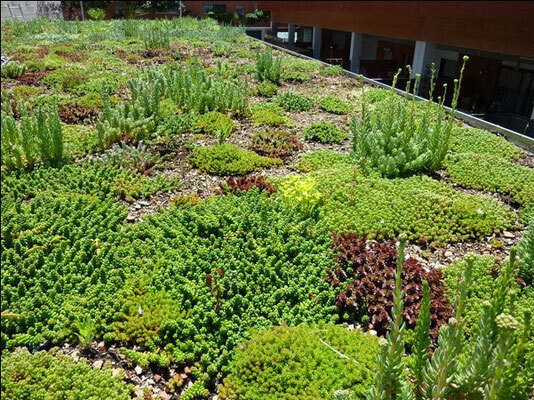 The covers are green spaces installed in the cover of almost any type of construction with light systems and limited or void maintenance. The vegetable covers offer a very necessary alternative in urban areas with insufficient percentages of green spaces. His properties develop a very good solution into topics of refrigeration, isolation, generation of oxygen, absorption of the CO2 and energety saving. The constructive existing systems allow the projection of the solution adapted for the gardening works in any type of cover. The covers reduce the atmospheric warming, control the torrential runoffs and moisten the urban environment, creating this way a more agreeable climate. They are capable of absorbing 90 % of the rainfall returning a great part of this water to the atmosphere. They do the function of the air filter and therefore they reduce substantially the pollution of powder and aerosols, helping to reduce this way the toxic elements of the atmosphere.. In addition the substratum leaks the rain water so the landscaped covers help us to reduce the water load with harmful substances. 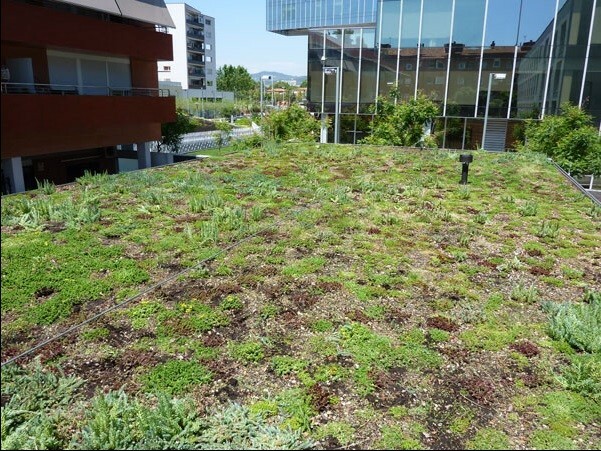 Intensive cover allows the installation of &quot;gardens and traditional gardens, foodstuffs, tapestry and lawn, shrubs and trees in function to the esthetics of the building. Extensive cover is a gardening work of low growth and upholstered with light substratum. They can be solved from 15cm of thickness and on flat and sloping covers. Solar cover is the combination of cover landscaped with panels of solar power. The shade that the panels generate it’s not a problem for the vegetation.